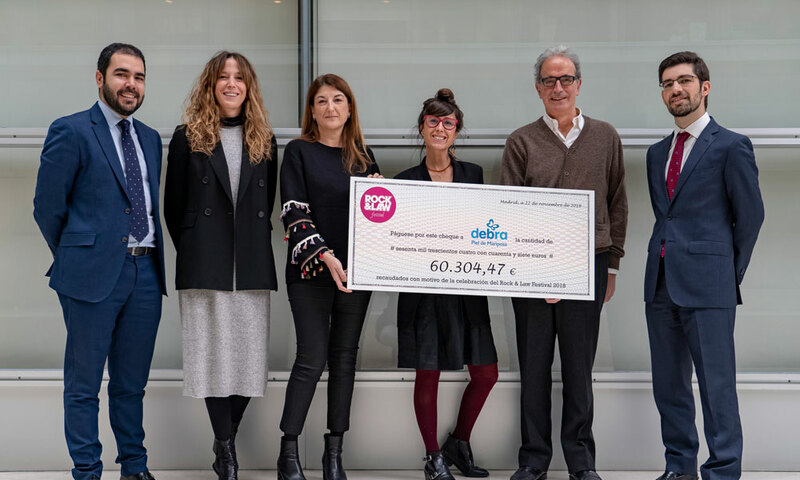 The funds raised are to go in their entirety to Asociación DEBRA – Piel de Mariposa (butterfly skin), a not-for-profit organization which seeks to make life easier for children affected by this serious disease and their families. The donation was made last week at Garrigues’ main offices in Madrid. The groups performing at this charity concert are made up of members of various law firms, including Garrigues’ own Madrid-based band Punto g. This year's concert was held at the Madrid Race Autocine drive-in cinema and was attended by over 2000 people. The 2019 concert is to be held in Barcelona.